The Art and Colour of General Motors was published at the 100th Anniversary of General Motors and features the photography of iconic classic car photographer Michael Furman, and lively, entertaining essays by America's most distinguished classic car historians and journalists. This superbly produced volume celebrates the design excellence that has stirred the American imagination for decades and showcases the cars that created General Motors' legacy for the past 100 years, including the 1950's "Motorama" dream cars that defined a generation. 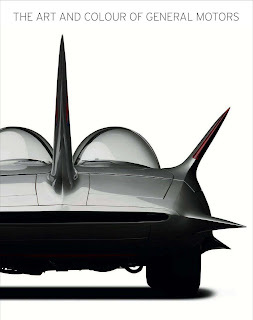 Written by a collection of leading automotive writers, The Art and Colour of General Motors benefits from new Furman photography of historically important General Motors cars, as well as from major museums and private collections across America. GM Archives also provided historic images, many of which have not been seen by the public for decades. This book is a must-have for auto aficionados young and old, and will appeal to everyone who has a love affair with the design, romance and beauty of great American automobiles. The Art and Colour of General Motors (Hardcover) @ Amazon.com .